Louise Hay was my dear friend and mentor, and though she’s recently passed on, I feel her with me, and the influence of her work, more than ever. 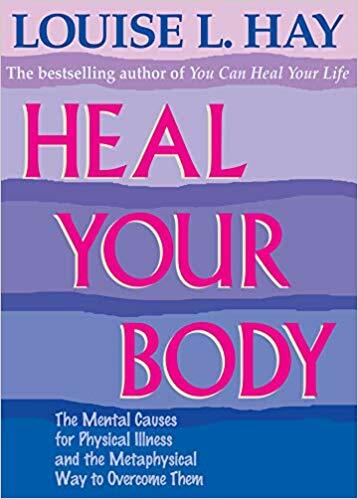 Since the publication of her internationally bestselling book “You Can Heal Your Life” in 1984, Louise Hay has (she’s still doing it from the beyond!) been teaching and inspiring millions of people around the world. Renowned for demonstrating the power of affirmations to bring about positive change, she was the author of more than 30 books for adults and children, as well as the founder of the publishing company Hay House (my publisher). Louise was a firm believer that all of our physical problems were a result of our thinking. So if we were willing to do the mental and emotional work, anything could be healed. And she showed us this, by living her fullest to the wise age of 91. She was a living example of her dedicated work, creating a legacy of positivity and inspiration, influencing many to follow a path of helping others, including me. But she was also a huge proponent of encouraging others to help themselves. Louise knew the secret of the mind-body connection even before it started to become mentioned in more mainstream circles. I remember her saying that she started with just a little pamphlet that she put together when teaching in small groups that listed some of the most common health issues and how to resolve them using specific affirmations. That list grew into the book, “Heal Your Body”, indexing hundreds of ailments. All you had to do was look up your specific health challenge, read the probable cause for the issue (stemming from a mental or emotional challenge), and apply the corresponding information to overcome it by creating a new thought pattern. That book has sold millions of copies and has been used by people from around the world, with incredible success. I’ve personally referred to it SO many times in the past twenty years. It’s simply an incredible piece of work. And about halfway through the dinner she turned to me and said, “Honey, what are we going to do together?” Meaning, what work will we create together. 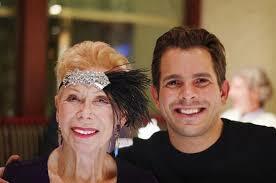 Really, Louise Hay asking to do something together? Sadly, though we became friends over the coming years, we never pulled off a specific project together, though she did publish my books and support our work in a huge way (including generous donations to our TS Foundation to support the work in Newtown, CT). Maybe she knew something I didn’t, and was just waiting for the perfect time to combine EFT Tapping with her work. When I was brainstorming about our new Tapping Solution App, I wanted to include Louise’s work in some way, because I felt it was important to continue her legacy of helping others. Remember her book that I mentioned above, “Heal Your Body”? For each physical Problem, she included a Probable Cause (mental and/or emotional) plus a Solution (new thought pattern). So I thought, what if we can combine BOTH Tapping and Positive Affirmations to create a symbiotic powerhouse that encourages your own body to heal! We could tap OUT the negative mental and emotional causes, then tap IN the new positive affirmations that Louise indexes in her book. And thus the “Heal Your Body” category of our Tapping Solution App was born. With almost two dozen of the most common health issues the majority of us face today, you now have access to this incredibly powerful tool for bringing about that healing in your body you so desire. Allergies • Arthritis • Asthma • Back Problems • High Blood Pressure • High Cholesterol • Cancer • Diabetes • Headaches • Neck Problems • Tinnitus • Ulcers • More! As an added bonus, I’m including the free meditation from this category that comes with your free download of the app. Can you imagine yourself healthy, fit, disease-free, living a vibrant and productive life? If you can imagine it, it can happen for you. These tapping meditations can help. Download The Tapping Solution App and use some of the “Heal Your Body” tapping meditations, all of which are founded in Louise Hay’s intuitive healing knowledge. 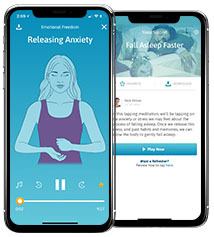 We’ve received such incredible feedback so far on the meditations in this category, and we’ll continue to add more as updated versions of the app are released. 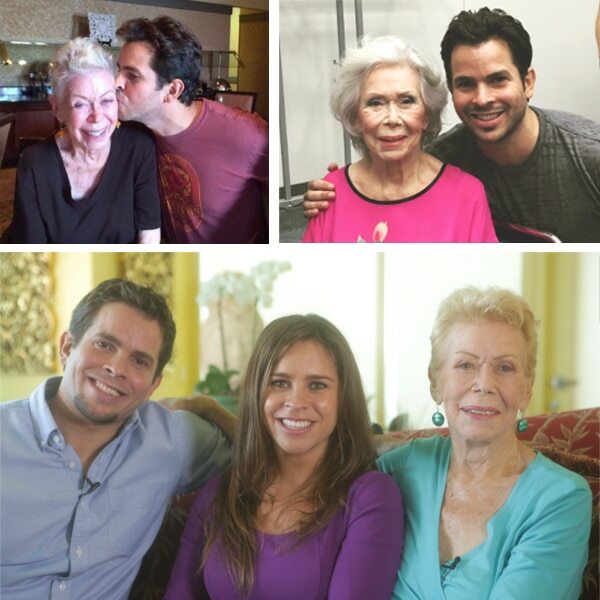 I hope this article helped you to understand how inspiring the life of Louise Hay was, and how her work continues through the many millions of those whom she touched. Go here to download the app now and make sure to let me know other physical conditions you want me to explore in these meditations, either by commenting below or sending me an email at nick@thetappingsolution.com. P.S. 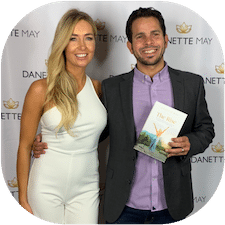 The day the app was launched, I went into NYC for a book launch party for my friend Danette May. Her new book, “The Rise”, was published by Hay House, so there were other Hay House authors and friends there. I was standing in a small group including Danette, my friend Jim Kwik, and Patty Gift, Vice President at Hay House and I was telling them, and Patty specifically who was very close to Louise, about this set of meditations. As I shared it with them, and showed them the app and the meditations, I got the BIGGEST body chills I’ve ever experienced. Louise was there with us and I can feel the same thing as I write these words now. I am beyond honored to continue expanding her work and legacy, and I hope these meditations help your body heal and connect with this incredible wisdom. Have you used Tapping or any of The Tapping Solution App meditations to heal your body? I’d love to hear your comments! Hi Nick, thanks for your wonderful work. Please add meditation for sinusitis and gastric issues. Thanks Nick. I did a tapping on a wart, using Louise Hay’s book, and followed the formula you used on lower back pain. I’d had the wart for 3 weeks. I tried tapping on having the wart and releasing it many times. No go. Then I thought I’d try using Louise Hay’s book, and tapped on the probable cause (little expressions of hate, and belief in ugliness). I tapped on those expressions for a while, and finished with a couple of rounds of the new thought (I am Love and the beauty of life, in full expression). I didn’t feel any shift or connection. I thought about when in childhood I felt ugly. I tapped on my mom telling I was being ugly. As I tapped all of this happened: I remembered when I was in trouble that I would try to defend myself when I was being wrongly accused (but wasn’t allowed to). I felt anger and hatred for her (this was a recurring event) built up after time. I glared at her, with all of that emotion in me. She said I was being ugly. I could feel the ugliness that I felt in those emotions. I kept tapping on that feeling. Eventually I felt the ugliness finally ease out of me. I felt the energy move around inside of me. That was a huge relief! After a few hours I tapped to see if there was more. I found another level: She wouldn’t let me explain myself either when she was mad at me. I realized she didn’t want to hear me. That hurt! I couldn’t speak my piece, I had to shove all of those emotions down inside of me. I felt a big lump of emotion in that tapping, and it moved out of me quickly. In the evening I went back in and tapped on the same issue. This time I learned, that by not allowing me to defend or explain myself, I didn’t get a chance to make myself look better in my mom’s eyes. Big release there. The huge realization was that I wasn’t allowed a chance to feel better about myself! The final blow…Mom didn’t want me to feel better about myself. More anger and hatred. I’ve been walking around unconsciously feeling bad about myself (can’t imagine any good coming of that.) Finally a huge release! After much releasing in each session, I ended with safe to feel beautiful, to let go of the hate, to forgive her/me for various things, to be heard, and most profound, safe to feel good about myself, even when I make mistakes. In the evening (after the last tapping) the wart was half the size! From a day of tapping. The next morning it was almost gone, and by nightfall it was gone. Two days! I hope the insights I realized might help others who have strict parents. Now that I know these things they seem so obvious. But not until I tapped did it all come to light. I dearly want to download this app but it says my iOS isn’t the right one on my iPad. My iPad isn’t the most up to date it is iPad 2 can I not get it then? Interesting your remark about Louise being with you. I am sure you realize there is no death as we think of it. My wife transited in 2016 and we were so close and I was so filled with grief that she came to me communicating through my mind that she was alive in another realm we call heaven. I published two books through Balboa press detailing her signs and manifestations. Beyond the Veil to Heaven and the latest one Beyond Earth Through Heaven’s gates. I second this request. I do have a smart phone, but it’s too slow for most apps, and it doesn’t keep a charge long enough to do much with it. I would not use the app on my phone, but would love to use the app on my computer. So a website that we pay the same amount as app users would be perfect. Hope you are progressing with the Android version. I have used Loise Hay’s work with myself and my clients for years. So glooking forward to incorporating Tapping. Thank you! If you could add a tapping on incontinence it would be so helpful to me and thousands of other women who suffer from this problem. My God bless you for the work you are doing. Would love a cure for over 2years of heart palpitations caused by arrythmias ….docs cannot find actual cause. Heart has gone up over 200 beats per minister….terrifying. Also dizziness limits my life and is unpredictable. I have had a shoulder injury for more than two years. Not able to do much at work. At night I have problems sleeping with pressure on my shoulder and neck. Can you help me please. The osteopath did some tapping on my shoulder. I lose the muscles on the right side of my neck. Also I lost muscle tone down my right side. Doctors couldn’t explain what happened. Have had all of the scans and m r is.Can you please help me. The osteopath silently read from a piece of paper. Thx so much for doing this! I can see from other comments that I am not the only one who does NOT use their phone for all this other stuff. Will this ever be available for lap top or tablet? Also, if you could do one for varicose veins I’d be thrilled! I am going to try doing it myself (but you’re the expert! 🙂 as this has been a long standing problem for me, not for vanity reasons, it has truly impacted what I am able to do in life. God bless for all the help you are to so many! Thank you Nick and Jessica for sharing with us all this brilliant knowlege. I celebrate your merging with Louise Hay for a most inspiring and invigorating new modality. Congratulations! Can include better blood circulation? I am so waiting for theAndroid version to come out. Am very much in need of body healing in a lot of areas and love positive affirmations. Your work is so great Nick. Thank you.Eagerly awaiting the Android version. Continue the fine work. Thank you so much Nick! Before I began tapping, Louise’s book was my “bible.” I have been using it in conjunction with tapping on this specific subject, as my lower back seems to gather mucked up energy or tension every time I have a huge release in tapping (no matter the subject). That is precisely when it began, when I started tapping. It was like a reminder to me that there is still something there (to release). Maybe it is where my other energy gets stuck when it’s on it’s way out? I am not an app person, so hopefully I can continue to access this one here, or in TIC. I’ve already repeated it four times (along with tapping on things that came up). So I’ll wear it out while I can, and maybe release this “issue” once and for all! How long till we can get the app on android and as well on for my laptop as I don’t use me mobile phone that much. Please hurry with the Android app. Also please address migraines. Thanks. Will you be developing the app for Android? I would love to be able to use it, but don’t have an iPhone, and I see now that there are others who feel the same! I was first introduced to Louise’s book, “You can heal your life”, in ’85 and became a huge fan of her and her books. Over a decade ago, I became aware of EFT, studied it and then introduced it to my practice specializing in anxiety/panic, trauma and PTSD. I have been combining the information from “Heal Your Body”, my intuition and what my clients bring to our sessions, with Energy Medicine and Energy Psychology since with great results. I also need to download to my PC since I don’t use a cell phone for health reasons. Thanks! Here’s another vote for andriod!! Not everyone has an Apple device. Need to have this app on android phones or on computers ASAP. I love that you pieced together in your soul her question to you in 2013 with the energy movement in you now to fulfill it. Now that IS seeing the inner realities! Thank you Nick. This was great! Did open up some memories as a child growing up. So grateful for you, Louise, and Hay House family. I am a fan of tapping. I had a speech problem for which i took heavy medications and still i could not talk clearly. My energy healer told me to start tapping and taught me. I was skeptical and dis not do it. After a few days u tried it and I got 80% of my speech back. I could not believe it. Within a few days i was completely cured. To think how much money I had spent on doctors and medicines which gave side effects makinf me almost crazy. I thank God for his guidance and introducing me to tapping. He also gave me Louse Hay’s book. For anyone out there don’t believe your doctor if he gives you a negative opinion. Just try tapping. Nick you are doing awesome work. Could you please add one for Enviromental illness/multiple chemical sensitivity? I put down new flooring and it ended up being a product from China with high VOC’s in it. It ended up making me very sick. Now I react to all fragrances, cleaning products, new bldg products, etc. almost a shut in now. When I have to go to the doctor, I get sick from their cleaning products and it lasts for weeks. So please add a meditation for that particular health issue so maybe I can reprogram my brain to not have my immune system react to so many things. Thank you so much!!! You will probably think I am very strange, but what exactly is an app and how does one ‘unload’ it please?? I am 76 years old, living on my old age pension with a small supplement. I have quite a few health issues but the ones that concern me the most are the ones that cause me pain. I have a laptop computer (that I am not totally friendly with…smiles), and I wonder if I can do that downloading thing with the computer?? Thank you. Please, Nick, put these on a website that we pay for and log into. Or, better yet, include them in the Insiders Club package. What a brilliant idea to combine Louise Hay’s affirmations with tapping. I found the tapping very uplifting. It brought out memories that have kept me stuck in money issues. Dear Nick Thank you so much for your wonderful work and your absolute generosity. With so many charging a fee for their work some persons maybe will not be able to afford their work, Jessica(congrats on baby and you an Uncle) deserve blessings, love and countless thanks for your work as true humans which is service to humanity, nature and her beings. Bless you and heartfelt thanks.